1) The people who are making resolutions for the new year. 2) The people who are making fun of the people making resolutions for the new year. Too many of the posts and memes on both sides boil down to one thing: guilt. 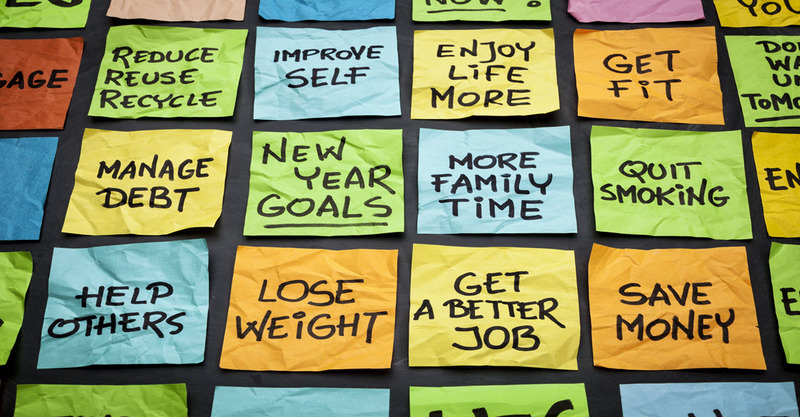 You should feel guilty if you made a resolution last year and didn’t keep it. You should feel guilty if you are too lazy to make a resolution. You should feel guilty if you want to make a resolution, knowing that you probably aren’t going to keep it anyway. You should feel guilty if you haven’t been to the gym since you made the resolution to go last year. Can we all just agree on a few things? First, people make “resolutions” to change throughout the year and don’t keep them. We just don’t make a big deal about it. It’s not unique to January 1. Second, it does just so happen that January 1 is a great time to change things up because a lot of things are starting fresh. The holiday season of overeating and not having enough time to work out is over. The kids are starting a new semester of school. Business finances are starting over fresh for the month, quarter, and year. Heck, even my Southwest Companion Pass is starting over. No one should be made to feel bad that they are resolving to once again start eating better or exercising more. Maybe they fell off the wagon during the holidays. Maybe they fell off the wagon long before that. Maybe they were never ON the wagon. Better to take some time now to make changes even if you don’t keep them all than to never even try. Conversely, who cares if someone doesn’t believe in making resolutions at all? Maybe they like themselves the way that they are. Maybe January is too busy a month for them to commit to big changes because of other things going on in their life. As someone who works in marketing, I can tell you that a lot of the emphasis put on New Year’s Resolutions comes from marketers. Who paid all the money to have their names on hats everyone could see when the ball dropped? Planet Fitness. What ads was I seeing during Sunday football yesterday? Nutrisystem’s program for men. Yes…those ads are in response to their knowing that a lot of people get back on the health bandwagon this time of year. But it’s self-perpetuating as well. You feel guilty about NOT getting on the bandwagon when you are seeing diet and exercise advertisements, blog posts, and social media. It’s our goal to capitalize on it and make it a big deal! So I’d just like to end by saying–If you made a New Year’s Resolution, good work taking the first step! I hope you stick with it to success. If you don’t, you’re in the majority. If you didn’t make a New Year’s Resolution, good work not giving into peer pressure! Enjoy those Weight Watchers ads you will be seeing in constant rotation the next few weeks but hold strong on doing your own thing.